For anyone who’s snagged themselves a Lancôme Visionnaire sample, I’d put money on it that after seeing the not so pocket friendly price of the full sized product, you’ve Googled around for a dupe, something that does the same job for less than half the cost. If you have gone on this Googling expedition, how often did L’Oreal’s Youth Code come up in the search engine? It’s the reason I went out and bought one! Visionnaire retails for around £82 for a 50ml bottle. I picked up a 50ml tub of Youth Code in my local B&M for…£4.99. That’s a pretty extreme price difference if you ask me. Visionnaire claims that it’s LR2412 is the secret ingredient that works the magic on our skin, but after some digging around, I’ve learnt that Youth Code contains the same thing…the difference? Visionnaire has 4%, Youth Code just 2%. As my skin is pretty wrinkle free right now, I reckoned I could get away with just ½ the LR2412 concentration. Did you know, Lancôme and L’Oreal are all part of the same company? So, the science that goes into Lancôme products is the exact same science that goes into L’Oreal – only L’Oreal don’t shout about it as much and contain a lower amount of the all star ingredients you’ll find in Lancôme. Does this make much of a difference when it comes to the products? That’s what I wanted to find out! Visionnaire is a very light weight, thin gel, that has worked so much magic on it’s test subjects that over half of them would consider delaying, or not have any cosmetic procedures to reduce the signs of aging. It evens out skin tone, reduces the appearance of fine lines, wrinkles, dark spots and minimizes pores. It’s been leading the way in wrinkle prevention for some time now and has a pretty big following world wide – but I can’t take my eyes off the price. The smallest you can buy is 30ml for £59, though I have seen it for £30 on eBay – I’m weary of buying higher end products off eBay as there are a lot of fakes out there with harmful ingredients in, so just be cautious! 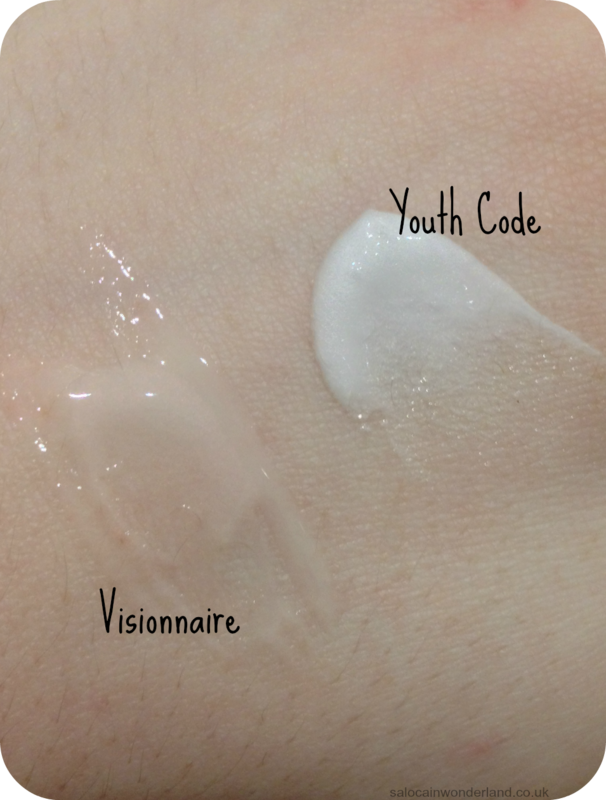 Youth Code is a much thicker cream in my opinion that doesn’t seem to absorb into the skin as well as Visionnaire. It claims to have used the science behind genes to unlock the secrets to smoother, younger looking skin. They say 82% of woman agree their skin is smoother, wrinkles and fine lines reduced and their skin looks brighter and rejuvenated. Though I picked mine up for £4.99, it generally retails in the likes of Boots for £10.50, which is pretty pocket friendly compared with other anti-wrinkle creams on the market. So how do the two match up? From my experience…they don’t. I instantly fell in love with Visionnaire. It’s consistency, it’s fragrance, it’s results – Youth Code was the complete opposite experience. So many reviews online had boasted about what a good dupe it was, I really did think it would work for me too. But we’re all different so not everyone is going to have the same experience. The difference in the consistency of the gels are so obvious! Visionnaire melted into my skin, it didn’t leave my skin looking greasy or my pores feeling clogged. After giving it a few minutes I went ahead and applied my regular day moisturiser (Olay beauty fluid) and everything looked matte and even. I tend to get a lot of redness around my nose and chin areas, especially during the winter, Visionnaire really seemed to calm down and reduce the redness. I can’t comment on it’s wrinkle reducing properties as my skin is pretty wrinkle free right now, but they do say Visionnaire is great for helping to fight off and reduce wrinkles before they start. Youth Code was a different story. The cream felt thicker and took much longer to absorb into my skin, even when I used the smallest amount. Though both products smell similar, Youth Code has a distinct ‘soapy’ smell to it that’s really over powering and not my cup of tea at all. 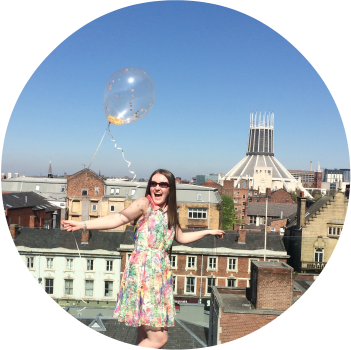 My skin didn’t feel overly greasy after applying but it did look overly dewy and after applying my moisturiser it was all out glow city – and not in a good way! The cream is very pearlescent and shiny, almost to the point where it looks like finely ground glitter – much too luminescent for oily skinned girls like myself! My skin did look smoother and well moisturised, but I had to go over it with a fair bit of blotting paper and a decent amount of translucent powder to reduce shine. After just 2 days of use I started to rapidly breakout across my chin and nose – something that hasn’t happened in over a month since switching to the Clarisonic cleansing system. I’m just tip toeing into the world of beauty serums, but I fear after falling head over heels for Visionnaire it’s going to be hard to settle for anything else. I loved how it felt on my skin, and my skin really did look smoother, with a more even complexion. Unfortunately, it is so far out of my price range I will have to hit the high street and try out some other, more budget beauty alternatives. Youth Code has had some rave reviews online, and if you have dull, dry skin then this, I imagine, will work an absolute treat, possible even for normal skin too. Oily skinned lovelies should steer clear though! 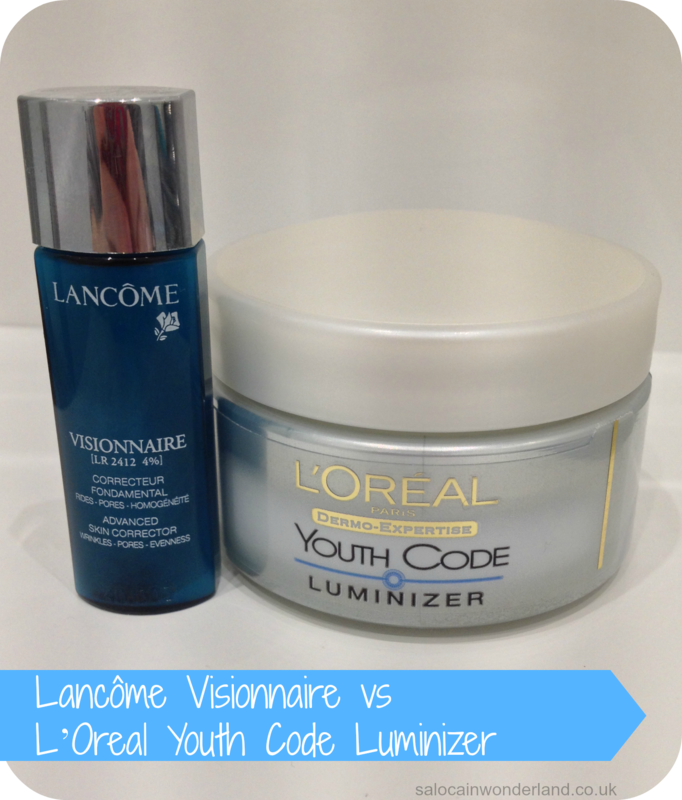 Have you tried Lancôme Visionnaire or L’Oreal Youth Code Luminizer? I love the lancome visionnaire.... it is quite pricey....but my skin has changed so much in only 2 weeks... amazed by it! Was looking for a dupe though and did hear lancome and loreal were the same companies, this annoyed me since Ive had bad experiences with loreal... break outs and their telescopic mascara was the worst id ever used! even though it is more expensive, i would chose lancome any day!